What can we do together that we can’t do apart? The four performers of Almanac Dance Circus Theatre tumble, climb, ﬂy, and fall in a physical language of storytelling in action. 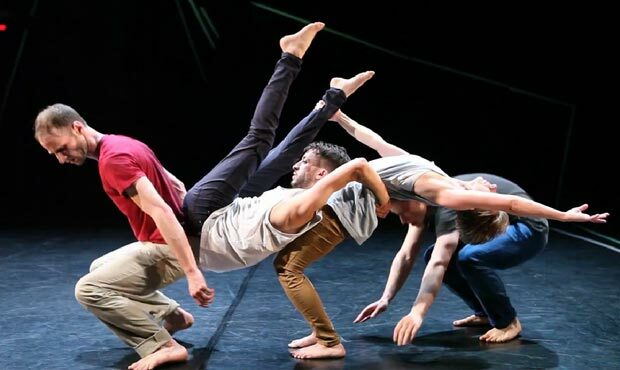 Students understand character education concepts like trust, teamwork, and support through this visual display fusing acrobatics, storytelling, and daring physicality. Audience participation is encouraged as the dancers alternate between the silly and the profound, the ordinary and the extraordinary. Floor space of 25 ft. by 25 ft. and 13 ft. to 14 ft. ceiling clearance. 1 mic with sound, MP3 audio cable. 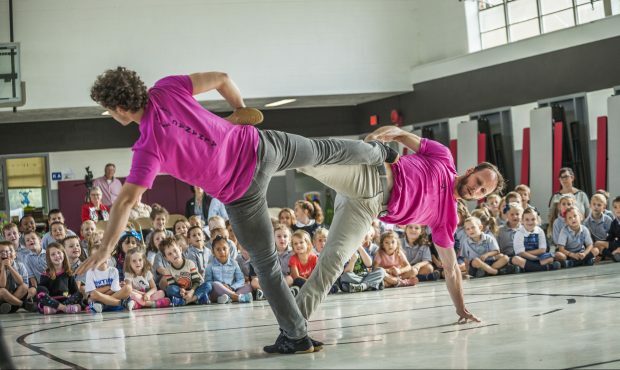 Both our students and staff were mesmerized by the performance shared with us by Almanac Dance Circus Theatre. 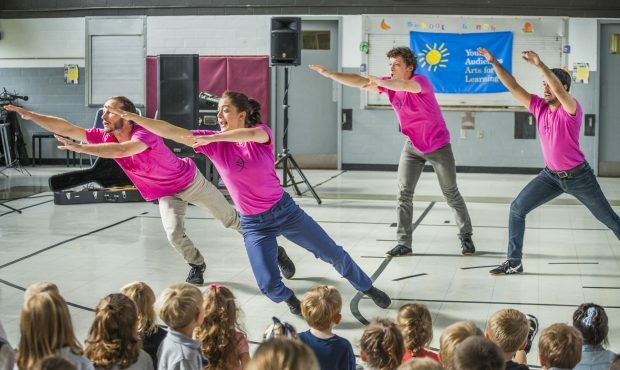 The dancers told stories through physical movements, encouraging students to use their imagination to comprehend the plot and inspiring them to continue to play as kids do, making it up as they go. The students were also challenged to reflect upon what the performers were able to do as a team, demonstrating the power of teamwork. Our school community truly appreciated the art that the performers of Almanac Dance Circus Theatre brought to us. It was an amazing experience enjoyed by all! Thank you for your hard work and dedication to bring this program to children!